How do I assign a directory profile to an upcoming appointment? Keep the person that booked the appointment informed on who they're meeting with. We'll show you how to get this setup. PeopleVine Schedulers allows people to book a one-on-one time with a mentor, consultant, professional, technician, etc. but some times, the one-on-one may be with someone from a pool of people. By leveraging the Directory, you can easily assign a specific person to a booked appointment. While setting up the scheduler, assign it to a directory profile allowing them to view and manage this appointment, but also allowing you to assign a representative. In order to assign a rep to the appointment, the rep needs to be a contact at the directory profile. Get there by going to the profile and clicking on View/Assign Contacts. You can then add the contacts to be assigned. Alternatively, you'll also get a popup to remind you. 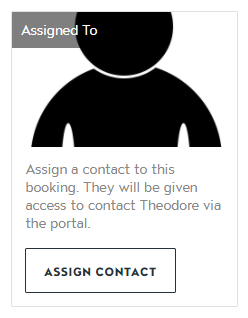 Now that an appointment is booked, you can assign a rep by clicking on Assign Contact under the Assigned To profile when on the booking confirmation screen.